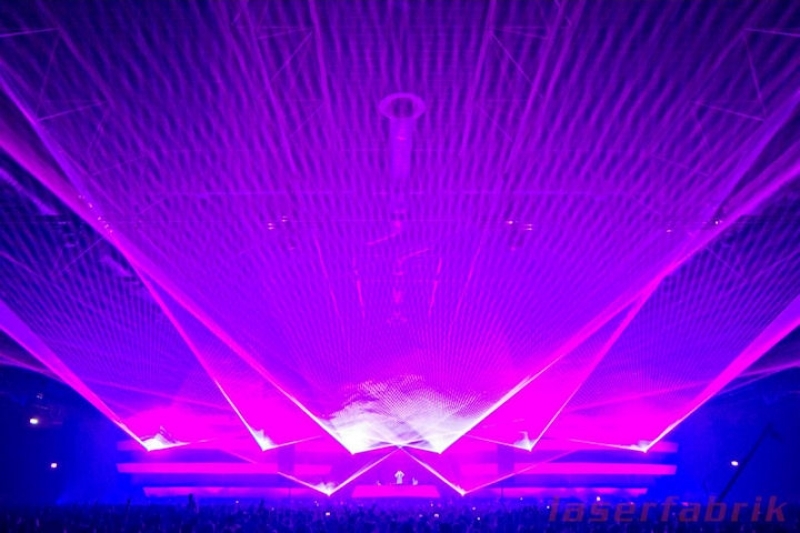 “A State of Trance” (ASOT) commissioned Laserfabrik to install a range of Laserworld Group installed by Laserfabrik lasers for the event. “A State Of Trance” (often abbreviated ASOT) is a famous electronic music event series that is hosted by Armin van Buuren, who has been the number 1 DJ in the world for several years. Started as a radio show in 2001, “A State Of Trance” has grown up to a stage show event, filling huge halls and even stadiums. 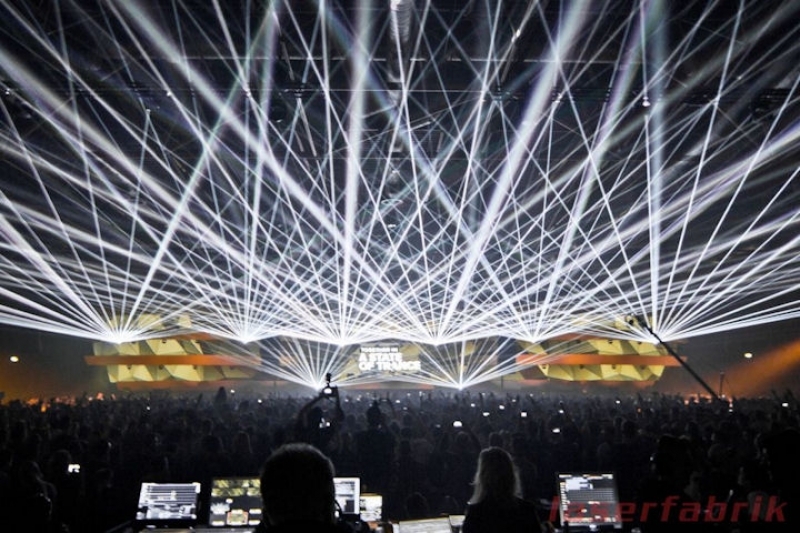 In 2015 the organizers again chose to use Laserfabrik for doing their laser show in Utrecht, Netherlands. 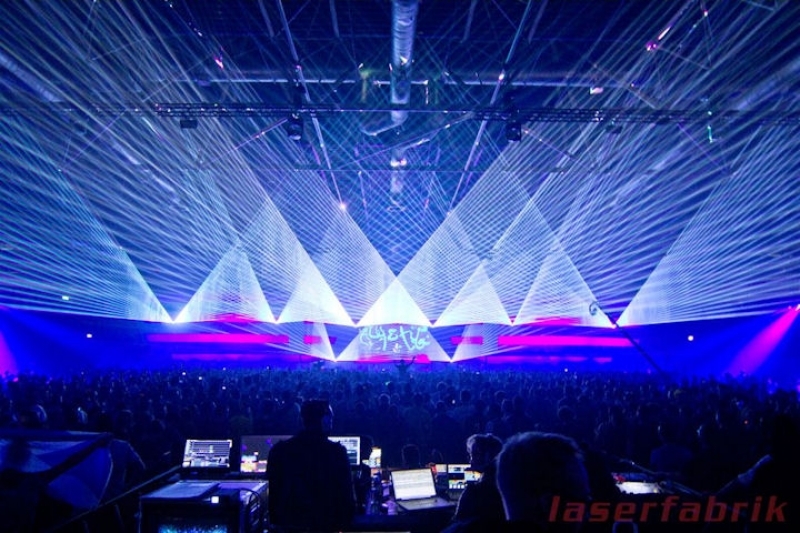 On two different floors, 16 lasers with an overall laser power of more than 200W were used. 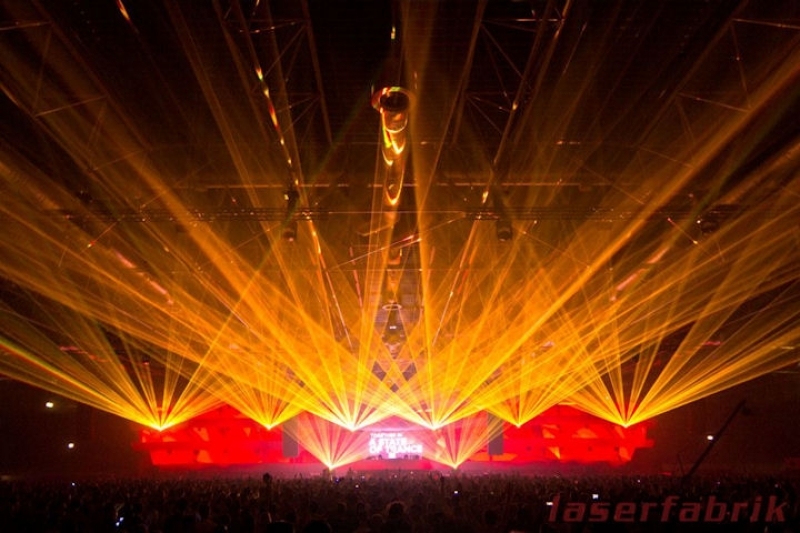 Laserfabrik decided to exclusively go for laser brands manufactured by the Laserworld Group. They chose 2 x RTI NANO RGB 30 and 6 x RTI NANO RGB 18 for the main floor and 6 x RTI Femto RGB 7 and 2 x RTI PIKO RGB 14 for the second floor. 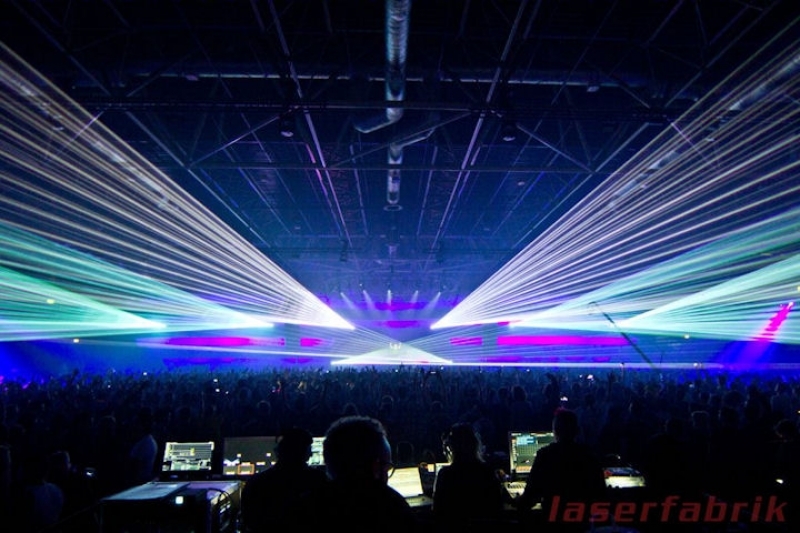 The whole setup was controlled via Lasergraph DSP in combination with GrandMA2s for live triggering. 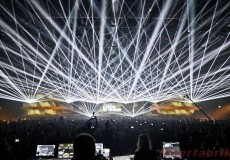 The intro-sequences for the DJ sets were pre-programmed and called over a timecode signal, which was provided by the main multimedia control desk of the show. 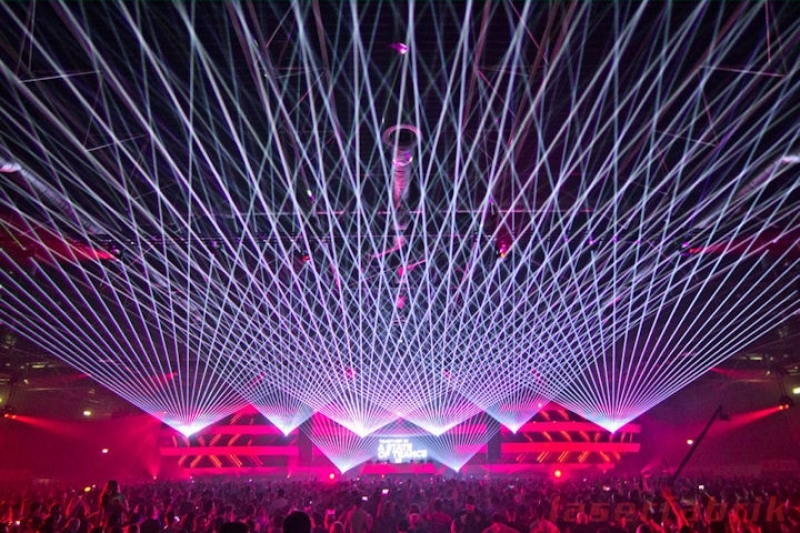 The ASOT show in Utrecht not only featured the famous host Armin van Buuren, but also many more famous names like Cosmic Gate, Andrew Rayel, Aly & Fila and Jorn van Deynhoven. The current “A State Of Trance” tour travels all around the world to different big cities, so many more great performances are upcoming.